Alphonso Labs, makers of Pulse News for iPad and Android devices, have released the latest version of their grand iPhone app, Pulse News for iPhone v. 1.1. The Pulse iPhone update features a host of improvements based on those recently released for the iPad. The iPhone update integrates landscape view, a weekly updated featured section and categories to make it easier to find your favorite news sources. In addition, there is now localization for support of Chinese, Japanese, German, French and Spanish. 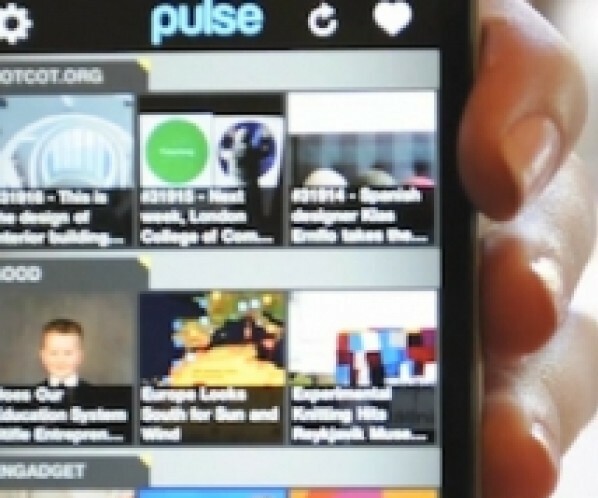 Discover new and interesting news sources in the Pulse Featured section! Each week, the Pulse Team updates the featured sources section to include news with engaging content and stunning images. Browse news sources by category! Want to read news from the best sources in business, entertainment, politics and more? A variety of popular sources are now available to browse through and add in one simple tap. Explore news in new languages with localization support for Chinese, Japanese, German, French and Spanish. View news any way you want it with landscape mode. Swipe to move between articles from the same source. Customize font size for ideal reading on the go. Tap to share to email, Facebook and Twitter at the end of an article. The team at Alphonso Labs continues to rollout updates at a clip that do not disappoint. If you haven’t tried Pulse News for your iPhone, get it here, and let us know what you think of the updates.